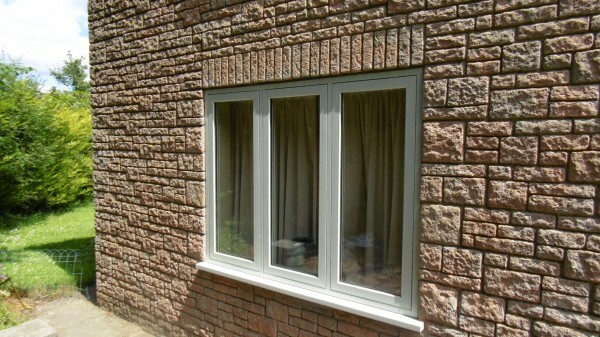 Our Timber Alternative Flush window range is perfect for homes that want to replace existing flush-fitting wood windows but want virtually maintenance free and modern window technology. With sleek window lines that fit flush into the window frame, the Timber Alternative Flush window range is ideal for period properties and contempory homes alike, due to its simple, clean design in wood effect finish and choice of colours. Visit our Bristol Showroom or call us today and talk to one of our Timber Alternative experts to discuss the windows for your home. "My cottage style timber casement windows which were partially rotten and very drafty needed replacing. I initially wanted timber windows as a direct replacement but my wife was not keen on the maintenance aspect and the Evolution timber alternative product was reluctantly accepted as a compromise solution. I have to say I have been impressed with the result. It is indistinguishable from a timber window whilst the period furniture complement the windows perfectly. My thanks to Steve Evans for persuading me of the benefits of the Evolution product despite my initial protestations."